It’s no secret that I love food. And booze. 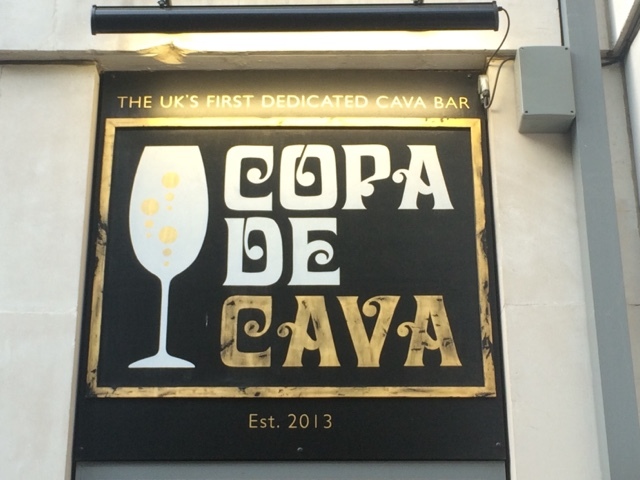 So Copa de Cava* – the UK’s first dedicated cava bar (which also does a great line in authentic Spanish tapas) – sounded like a great idea to me! 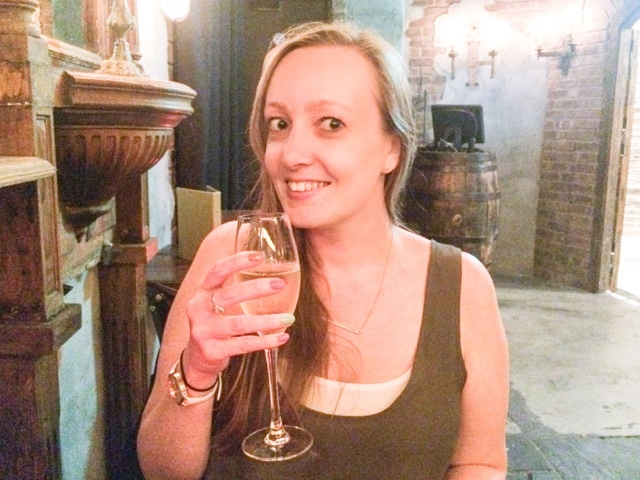 Tucked away behind City Thameslink station, it’s a great place to go for a cheeky drink after work, which is exactly what my boyfriend and I did the other week. 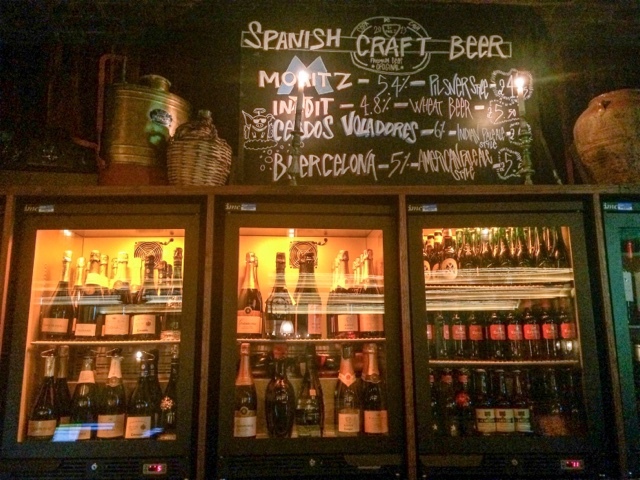 Copa de Cava is the sister bar of popular Spanish restaurant chain Camino and both were absolutely bustling when we arrived at 6:30pm on Thursday night. 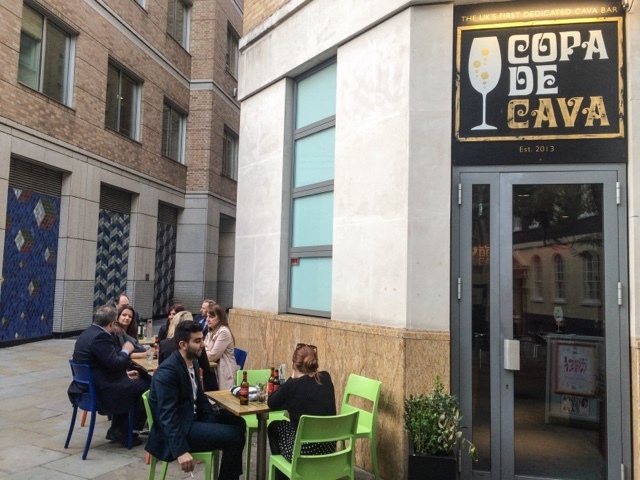 Copa de Cava is set in a secluded courtyard and it was lovely to see tables of people sat outside enjoying their drinks in the sunshine – it really did feel like we were in Spain, not London! Our table was reserved for us in the cave-esque bar downstairs which also had a lovely atmosphere to it, and made us feel like we were on holiday and not in a typical city bar. 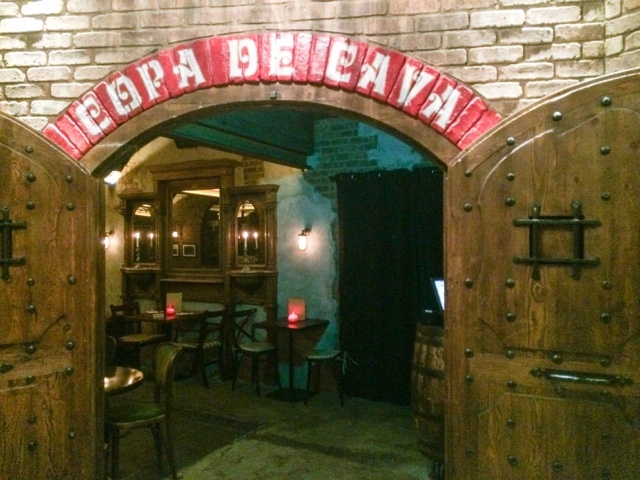 It’s decorated to look like an authentic Spanish tapas bar, with lots of wooden barrels, candles and exposed brick wall, and is done in a classy un-tacky way that feels quite natural and unforced. 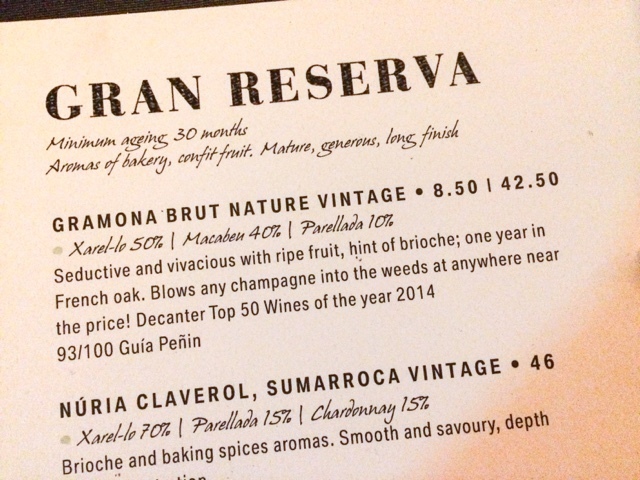 David recommended we start with a glass of the award winning Gran Reserva Gramona Brut Nature Vintage, which as the menu says blows any champagne into the weeds at anywhere near the price. Sounds good to me! It was absolutely delicious, even Tony who wouldn’t normally choose a sparkling wine really enjoyed it. 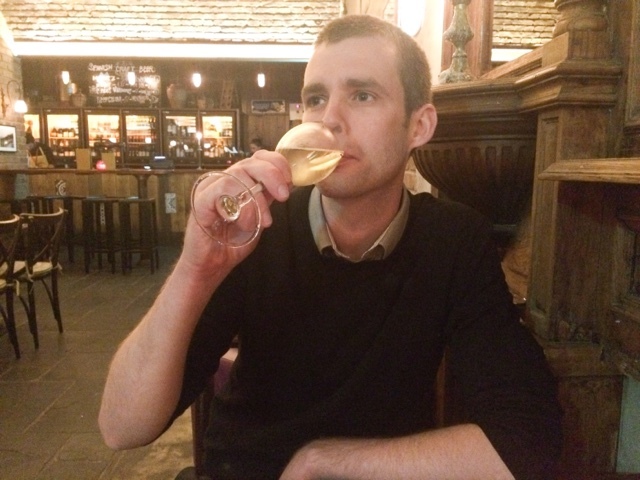 It was so easy to drink – very smooth and without a hint of acidness which can often be found with prosecco. We could easily have drunk the whole bottle! We decided to order a couple of tapas plates to share and after spending a loooooong time reading through the various options (seriously, everything sounded amazing!) we decided on our favourite Chorizo and some Empanadillas (mini pastries stuffed with spinach, pine nuts and goats cheese), which David assured us was an excellent choice. 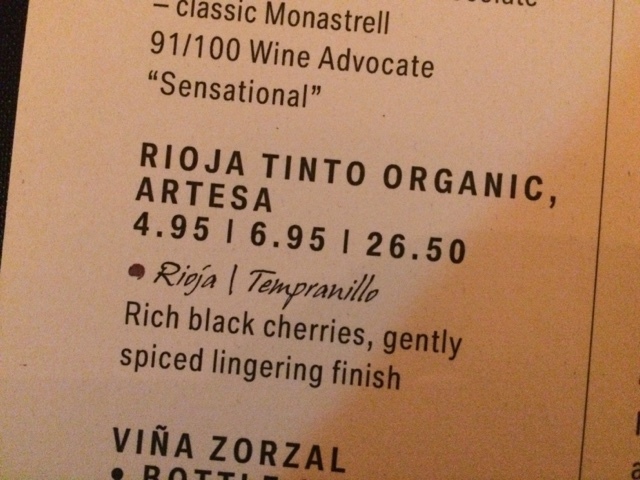 We also decided to order a glass of red wine to accompany it and I chose the Rioja Tinto Organic, Artesa whilst Tony went for a ‘Mimic’ Shiraz, Vina Elena. 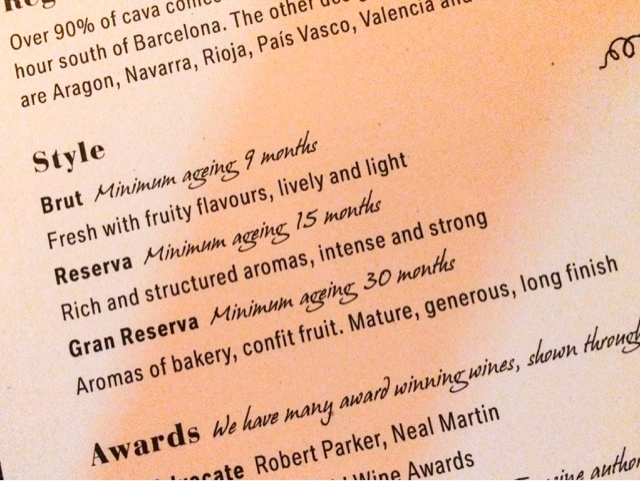 My Rioja was absolutely amazing – probably my dream red wine! It was so easy to drink, really warming, fruity and full bodied. 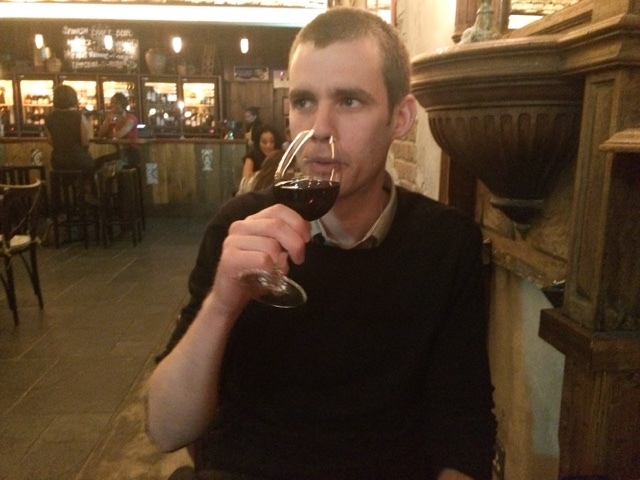 Tony’s Shiraz was also delicious and fruity with a really deep flavour. 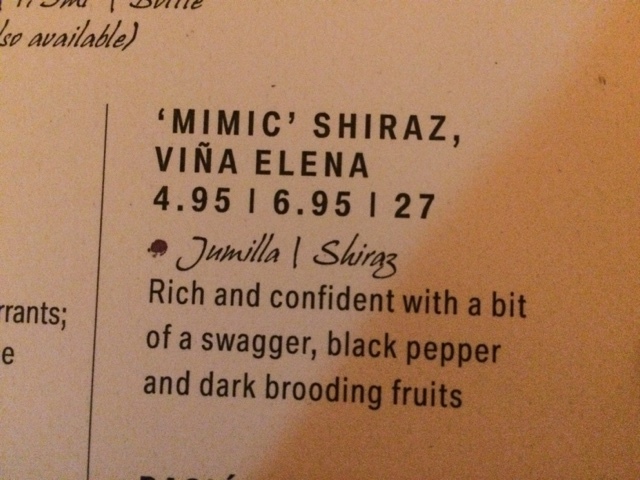 And how cool is the description: “Rich and confident with a bit of a swagger, black pepper and dark brooding fruits!” We both agreed that the wines were served at the perfect temperature which made all the difference as often in bars red wines are served relatively cold which really doesn’t do them justice and totally ruins the enjoyment of the drink. Not this time though, hurrah! We were just as happy with our tapas when they arrived a few minutes after, too. The Chorizo was served on a bed of roquito peppers and rocket which made it quite a substantial plate which was nice, and fantastic vale. Often chorizo is served as lots of mini chunks of meat but we received two sausages cut in half which was much nicer as the meat absorbed less oil. It was so flavoursome and had a lovely chargrilled taste. 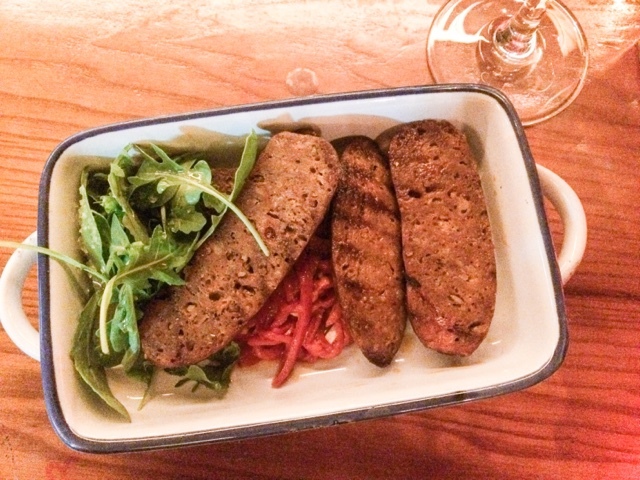 The rocket and peppers also added nice fresh flavours which complimented the grilled meat beautifully. 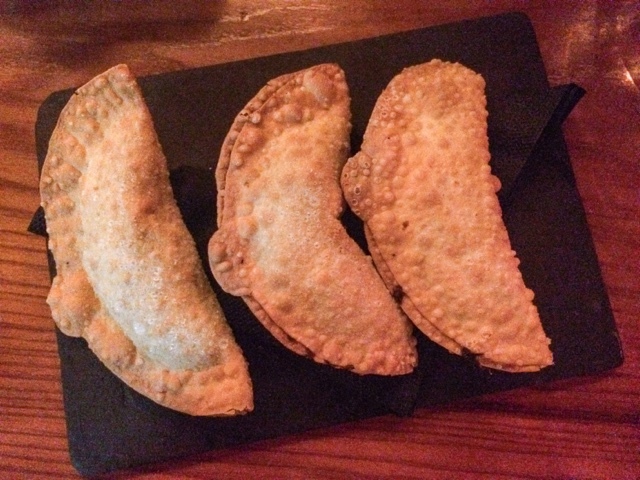 The Empanadillas were also so tasty and very generously filled. 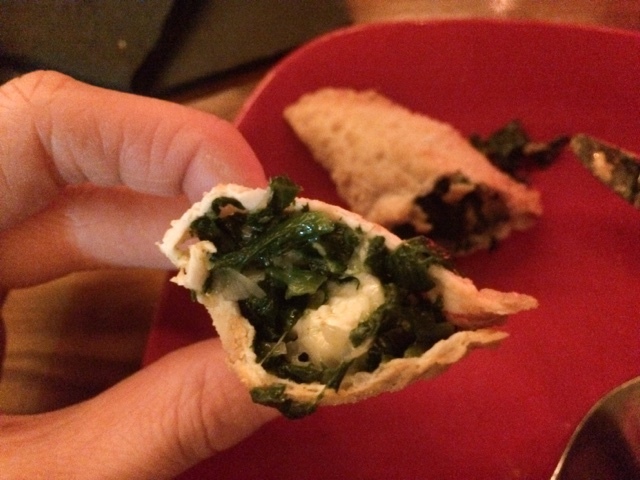 The pastry was nice and light and thin and the textures of the soft cheese and spinach merged beautifully with the bite of the pastry and pine nuts. I could totally have eaten all three to myself they were so yummy but thought I’d better share with Toto! 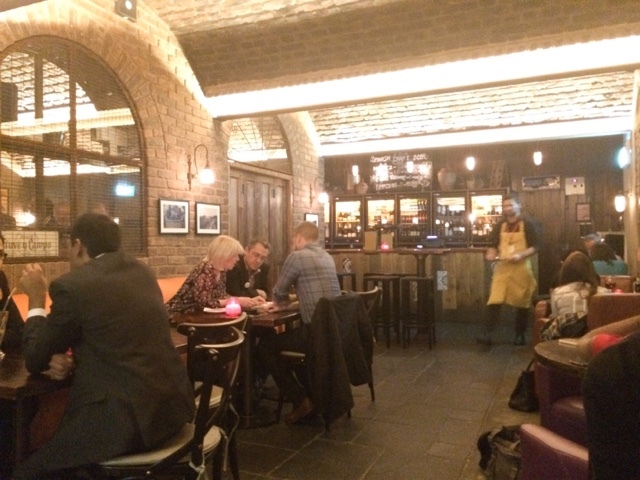 Whilst it was fairly empty downstairs when we first arrived, the small bar soon filled up as we ate and drank and there was a really nice atmosphere – buzzy but without being too noisy or overcrowded. I often feel in city bars you usually have to shout to be heard but also want to speak quietly so’s not to disturb the person on the table next to you (or have them listen in on all your gossip!) In Copa de Cava however the noise level and spacing of tables was just right and the dark lighting made us feel nice and secluded (though this did play havoc with my photographs I’m afraid!) 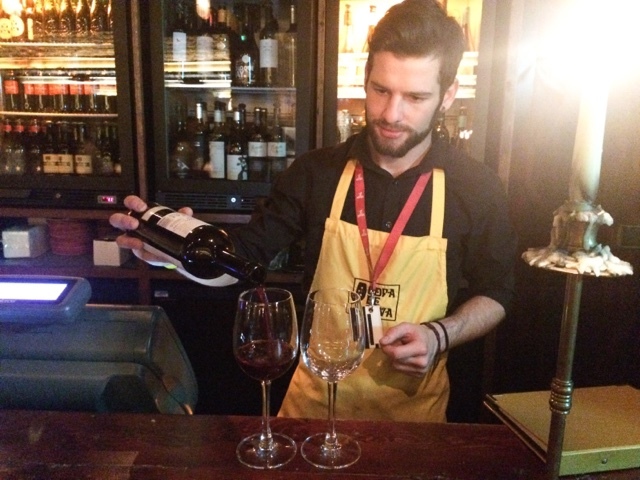 We also thought David was so welcoming and helpful as our waiter – I love going places where you’re really made to feel like a valued customer as you’re given information and recommendations. Again I think this can be quite hard to find in a Central London bar, particularly on a busy Thursday night, but we never once felt rushed or ignored. Thank you David! 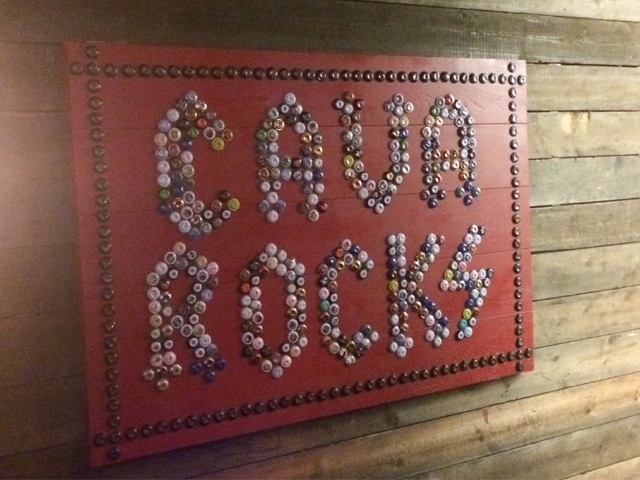 We really enjoyed our time at Copa de Cava and will definitely be going back again (there’s so many yummy sounding wine and tapas plates to get through!) 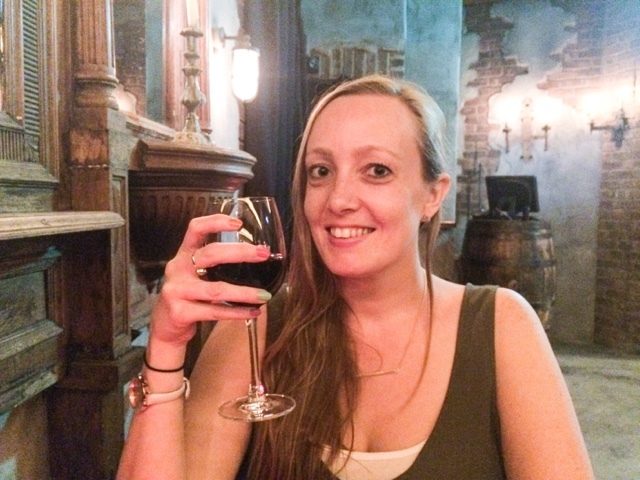 It’s the perfect place for a date or an after work drink with friends and is one of the best value and nicest atmosphere bars I’ve come across in central London. Thanks so much for having us guys, see you soon! Which are your favourite bars for after work drinks? 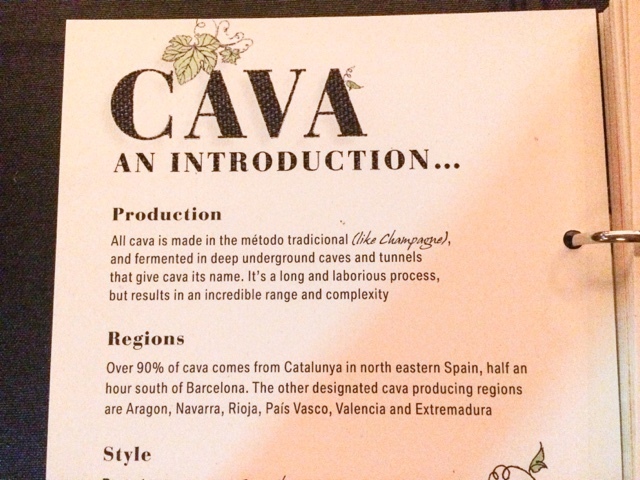 *We were kindly invited to Copa de Cava to try out their wine and tapas. All thoughts are honest and my own. For more information please see my Disclaimer Page. Pretty sure Toto just picked that Shiraz because they used the back cover of his autobiography to describe it. Looks like such a good place for a quick after work drink!